CHOI Dong-hoon’s new project is starting to come together, with actors such as LEE Jung-jae, KIM Woo-bin, KIM Eui-sung and YUM Jung-ah now confirmed to lead the cast. Wiretap (translated title) is a remake of the 2009 thriller Overheard from HK directors Felix CHONG and SIU Fai Mak. Wiretap follows a police surveillance team which begins to set their morals by the wayside when they see an opportunity to make money on the stock market with insider trading. CHOI’s previous two films The Thieves (2012) and Assassination (2015) both soared over the ten million admissions mark. He is also responsible for The Big Swindle (2004), Tazza: The High Rollers (2006) and Woochi (2009). Playing a detective on the surveillance team, LEE Jung-jae is partnering with director CHOI for the third time, having appeared in his last two films, The Thieves and Assassination. LEE was seen in last summer’s Korean War hit Operation Chromite alongside Liam Neeson and is next on screens in the period action-drama The Proxy Soldiers, due out in June. 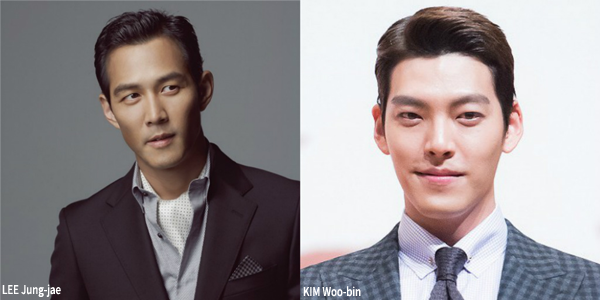 New star KIM Woo-bin, who will incarnate a diligent traffic control officer who becomes wise to the illegal maneuvers of the surveillance team, recently paired up with LEE Byung-hun and GANG Dong-won for the smash hit Master, and has been on a run of box office hits, which include Friend : The Great Legacy (2013), The Con Artists (2014) and Twenty (2015). Meanwhile, TRAIN TO BUSAN star KIM Eui-sung is on board as another detective and YUM Jung-ah of A Tale Of Two Sisters (2003) and Cart (2014) will play the team’s supervisor. CJ Entertainment will distribute the film, which is eyeing an August production start and a summer release next year.